Roulette, which means small wheel in French, is a casino and gambling game where a croupier rolls a ball and turns a round roulette wheel which has 37 or 38 separately numbered pockets in which a ball must land. The players and gamblers guess which numbered pocket the ball will land and bet on corresponding number. Traditionally, roulette gives the house edge or house advantage of around 5.26%, which is the amount the player loses relative to a bet on average during the long series of bets. In other word, the player is determined to lose to the house, or casino over the long run. There has been various betting strategies and tactics that hope to overcome this odd to beat the casino, such as Martingale betting strategy and Fibonacci sequence, although none has proved to be to a complete success. But now, according to Guardian, there is a £1,000 roulette-cheating machines or devices which consist of a small digital time recorder or clicker that records the deceleration speed of the rotor and ball, a remote computer device concealed inside a mobile phone or MP3 player that uses the timings to calculate which number the ball will strike based on an algorithm from data gathered and transmits the information to the earpiece, and a hidden earpiece that instructs a player which zone the ball will land in, that can gives gamblers punters an considerable edge and advantage over the house when playing roulette in a casino. To use the roulette cheating devices, the players first identify a “biased” wheel, where the ball appears to commonly drop in roughly the same zone. They also look for signs on the wheel of a “manageable scatter”, which means that when the ball strikes a certain number, it will usually fall into a neighboring pocket. 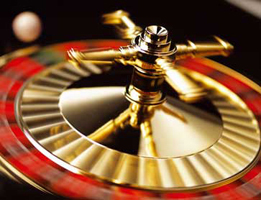 However, there is also some claims that the roulette prediction devices will also work on level wheels, and the cheating machine roulette strategies can let the players gain an advantage or edge of between 20% and 100% over the casino. Best of all, the Gambling Commission of UK not intending to ban the devices, which are outlawed in many jurisdictions across the world. The commission advises casinos to check and deter the usage of the cheating gadget themselves, and refuse to pay people caught using predictive devices by requiring the gamblers to take legal action in order to obtain their winnings.